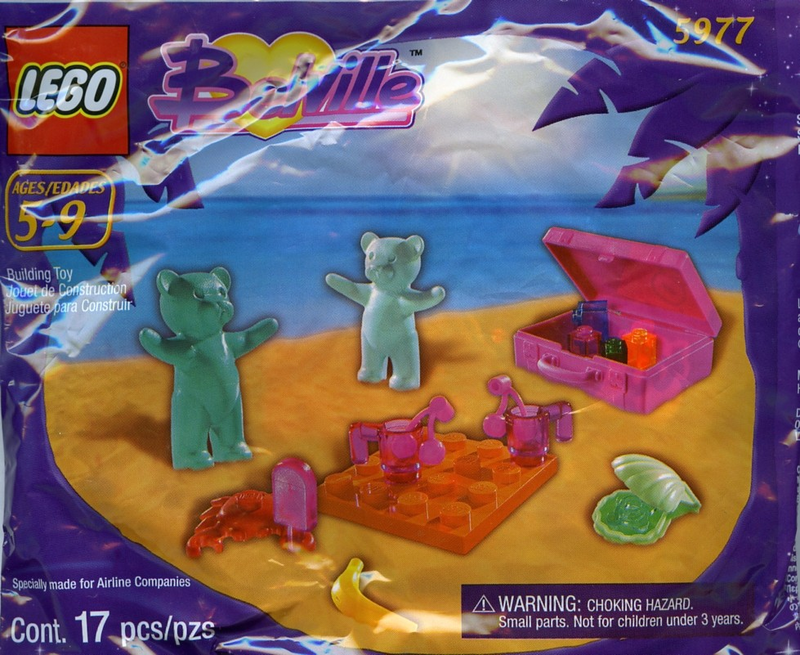 I never knew a set with LEGO Gummy Bears having a picnic existed and I love it. Truly one of the most obscure and unique polybags I have ever seen. That crab sure likes his frozen treats. On another note, this seems like a really odd set to make for an airplane companies. All those little loose parts are bound to get lost by kids while they go through terminals and board flights.